Destination Marketing 3.0: Do You Have the Courage to Destroy Your Own Business? One of the premises of this blog space is that today’s destination marketers, faced with substantial relevancy challenges, need to reboot themselves. And over the last month I’ve offered a number of personal perspectives on what I believe that looks like, often citing some awesome examples of what some DMO’s are doing to evolve in the face of disruptive forces and challenges to their long-standing value proposition. But in speaking with destination marketers and, more importantly their customers, what I keep hearing is that most destination marketers are more comfortable avoiding a disruptive change strategy than they are at activating one. There are plenty of examples of industries (e.g. retail music), companies (e.g. 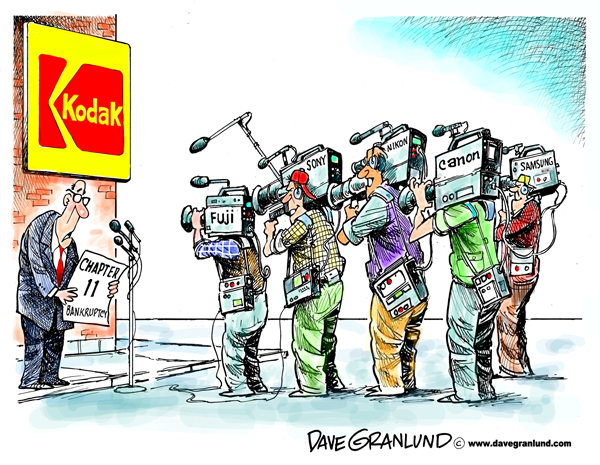 Kodak) and professions (e.g. travel agents) whose marketplace relevancy was destroyed by disruptive change because they avoided making the necessary disruptive choices to ensure their ongoing relevance. At Amazon, Jeff Bezos has his own recipe for disruption. Inspired by Clayton Christensen, one of the world’s foremost experts on disruptive innovation, Mr. Bezos actually challenges members of his leadership team to devise strategies to destroy their own business lines and then put the disruptive strategy into play before someone else does. Can’t wait to see what he does to the publishing industry with his Washington Post acquisition. What would you do to destroy an existing DMO business line? Why do many destination marketers struggle with making disruptive choices for their businesses even with an acknowledged relevancy challenge? In this blogspace I’ve extolled the virtues of engagement to create rich conversations on opportunities and challenges. So lets have one shall we. This entry was posted in Destination Marketing and tagged Clayton Christensen, destination marketers, disruptive innovation, DMO, Jeff Bezos by Bruce MacMillan. Bookmark the permalink. I’ve enjoyed reading your forward looking posts Bruce. I believe the reluctance to make disruptive choices has to do with leadership and their decision-making process. While some leaders keep pushing for hope. Others keep focusing on fear. Very few leaders have the courage of their convictions to buck current wisdom and go against the crowd. A disruptive choice requires confidence, optimism, a view point that is different from others and the willingness to take the heat if they’re wrong. It also requires parking ‘egos’. On the decision-making leaders are still using a process that doesn’t work today. In the past leaders led in ordered, simple and complicated times. Their decision-making process was to sense, categorize and/or analyze and then respond. Today they are leading in un-ordered and complex times. Therefore decision-making requires them to first ‘probe’ then sense and respond. Probing requires experimentation. And experimentation requires leaders to leverage profits to fund them. Disruptive choices fall under the latter decision-making practice. Research shows when leaders are made aware of the environment they are leading in they are more prepared to implement different thinking and make different choices that will include some disruptive ones. Organizations will continue to fail if leaders keep applying old thinking to new problems.